RootsTech 2016 is almost here! I'm so excited that I get to attend in person this year. And I'm really excited to be attending as an Ambassador. 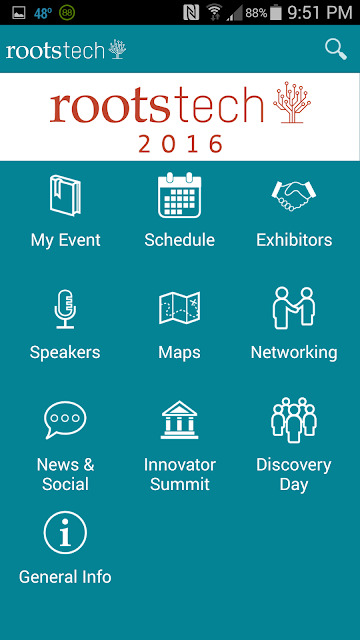 I've already downloaded the RootsTech 2016 Mobile App and I thought I'd share the Maps feature with you today. First of all, here's a screenshot of the App itself taken from my smartphone. 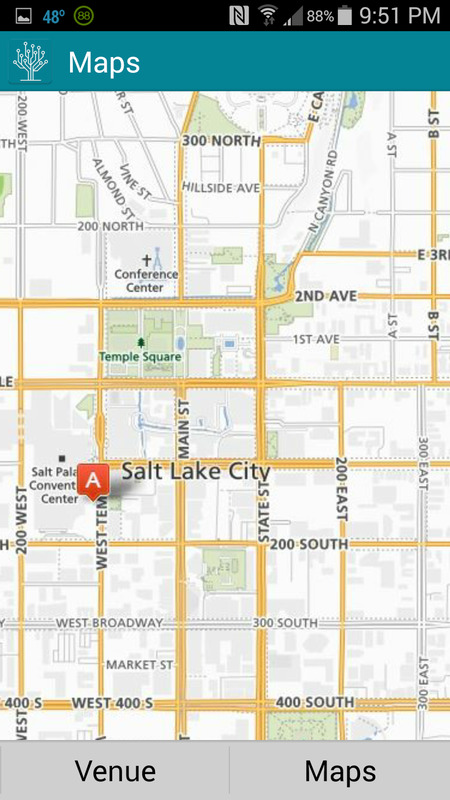 When I click on the "Maps" icon I am taken to a map of Salt Lake City as seen in the screenshot below. 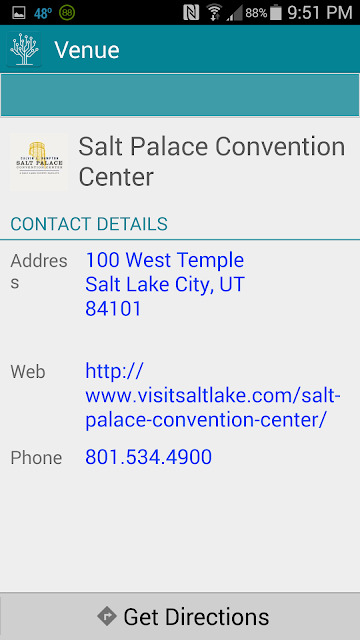 Clicking on "Venue" at the bottom of the screen brings me to the "Contact Details" page for the Salt Palace Convention Center. Clicking on "Maps" at the bottom of the Salt Lake City map screen brings me to this page in the App. 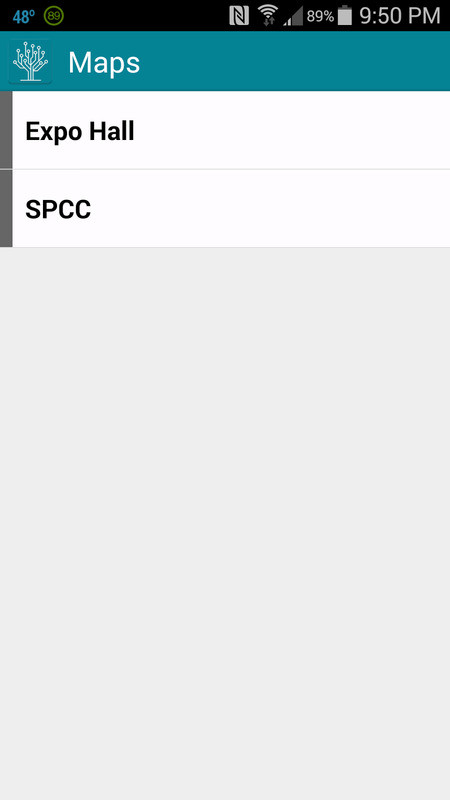 I have two options - "Expo Hall" and "SPCC." Clicking on "Expo Hall" provides me with a map of the Expo Hall. We are able to zoom in and out on this screen. 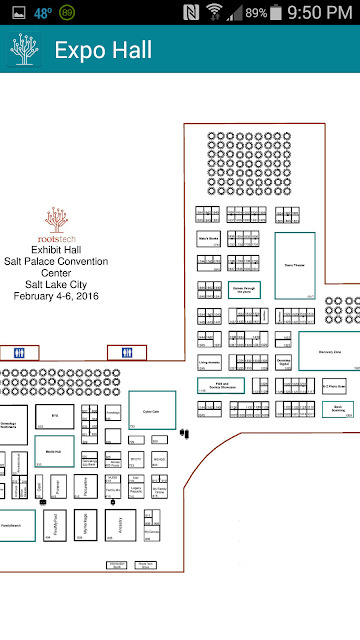 This same map, plus a list of the Exhibitors, is also on the RootsTech website at RootsTech 2016 Exhibitors and Sponsors. 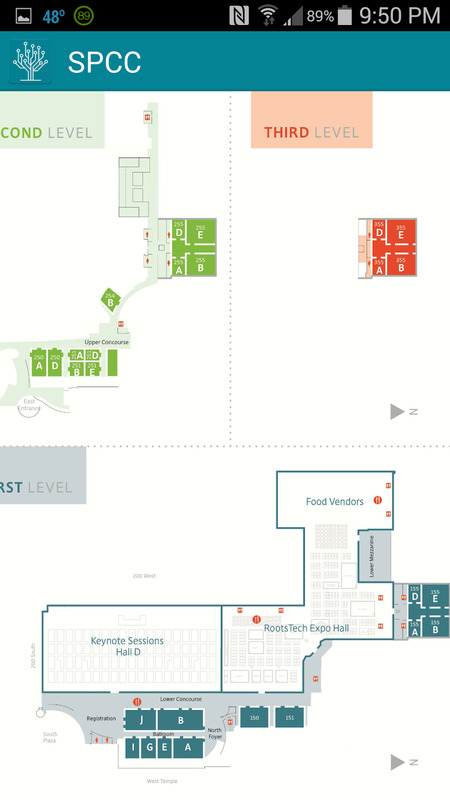 When you click on the Expo Hall map on the RootsTech website, it opens up as a PDF file, which you can save. I've already saved the PDF file to Evernote. 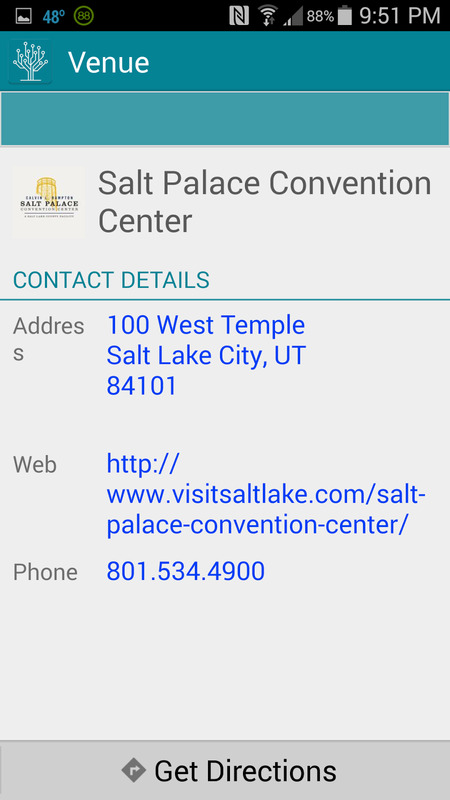 Clicking on the "SPCC" option takes me to this map of the Salt Palace Convention Center, which is another nice feature of the RootsTech 2016 App. 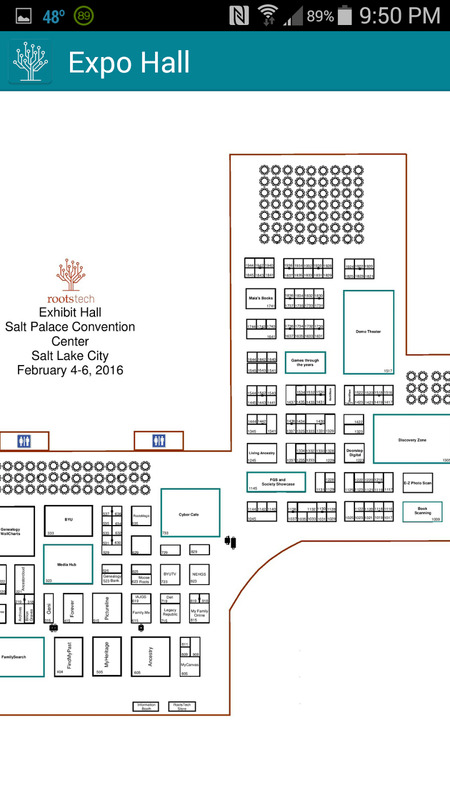 I hope this post has been helpful to all of those attending RootsTech 2016 next month. See you there!